Members are reminded to carry their membership cards with them when fishing the canal or be asked to buy a day ticket. The kiosk at Heybridge Basin which runs boat trips is also now selling our day tickets so if you are not already a member of MAS, CAA or KDAA and fancy a days fishing on the canal (not this Friday) why not pop down to Heybridge Basin and buy a ticket from the hut (£6 adults, £4.50 concessions, £2 juniors). 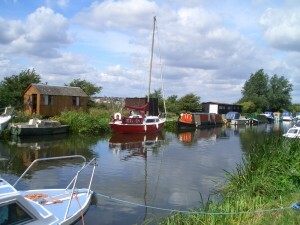 Picturesque Heybridge Basin, there are two good pubs as well. Kim took time off from match fishing and visited Browns Wharf on the canal at Chelmsford. This stretch of water is often forgotten about yet it has a good head of fish, there are about ten swims which are easily fishable. The water is now bailiff by Brett Crouch and he has done a good job in keeping the litter down and making sure all are fishing to the rules, he also issues Day Tickets to non members. Kim fished for about 5 hours and had a net full of good quality Roach up to 1lbs 8oz, two bream and some small perch. He managed to catch his Roach on Tares feeding Hemp and the two Bream fell to Sweetcorn. 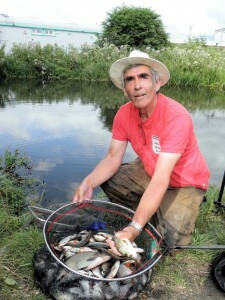 There are also Tench to 6lbs, Carp to 20lbs, Dace and Pike; one was caught last season at 28lbs. So why not give this water a try and have a net full of fish like Kim. The river season has now started so if you fancy trying your luck on the Chelmer & Blackwater canal you can now do so, either as a member at no extra charge or as a non member paying for a day ticket. These cost £6 for adults, £4.50 concessions and only £2 for juniors (under 16 years old) on the bank or £5 for adults, £3 concessions and £2 for juniors if purchased in advance of fishing from JP Tackle. 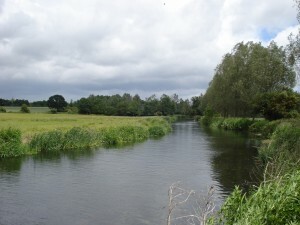 Members of Maldon AS can also night fish the canal at no extra charge and also have exclusive fishing on our stretch of the River Blackwater at Wickham Bishops / Langford. 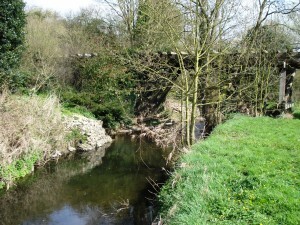 The members only River Blackwater stretch upstream of Station Road. New members are reminded that they can deduct the price of one guest/day ticket from the total cost of their fees (per member) and not several up to the total value of their fees as some people mistakenly believe.